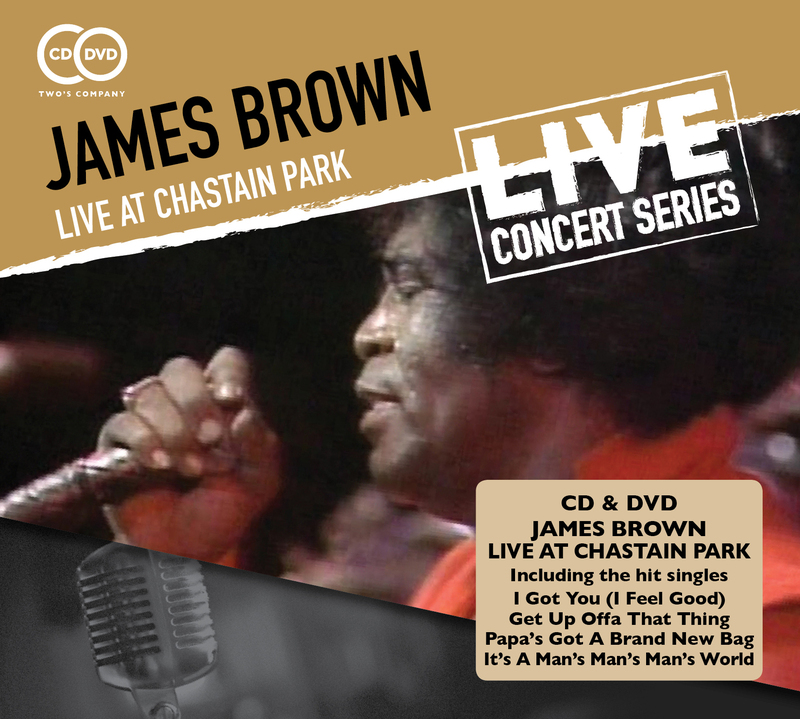 CD/DVD concert by the Godfather of Soul James Brown. Includes all his greatest hits! CD previously unreleased. Legendary concert performance at the famed Chastain Park in Atlanta, Georgia at the height of Brown's career in 1980. The CD has never previously been released! The Godfather of Soul sings all his #1 hits of the 60s, including It's A Man's Man's Man's World, Papa's Got A Brand New Bag and I Got You. This high energy show will have you getting up offa your seats and dancing around in no time! Recognized as one of the most influential figures in 20th century popular music and renowned for his vocals and feverish dancing, Brown was a pivotal force in the music industry. Rising to fame during the late 1950s and early 1960s on the strength of his thrilling live performances and string of smash hits, Brown was also a presence in American political affairs during the 1960s and 1970s.